For full list of press coverage see our media links page. 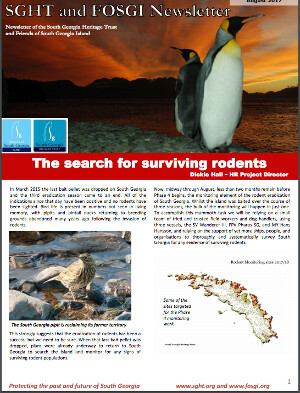 In the post below we’ve collected some reports from the expedition landing sites along with a map. Keep following our social media channels for further updates as the post-expedition analysis begins! See the project page here. Follow the team’s progress with the hash tag #SGArchExpedition on our twitter FOSGI_News and these other Social media channels! Weddell Sea expedition in search of Sir Ernest Shackleton’s lost ship. “A scientific expedition in the Antarctic is set to depart its current location to go in search of Sir Ernest Shackleton’s lost ship. The team has been investigating the Larsen C Ice Shelf and the continent’s biggest iceberg, known as A68. 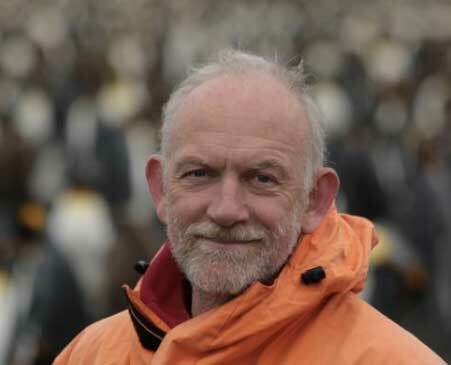 Prof. Julian Dowdeswell talks about the expedition, on a ship to shore line, giving an excellent recount of the epic journey Shackleton and his men embarked on when their ship was crushed by ice on the Weddell Sea just over a century ago. 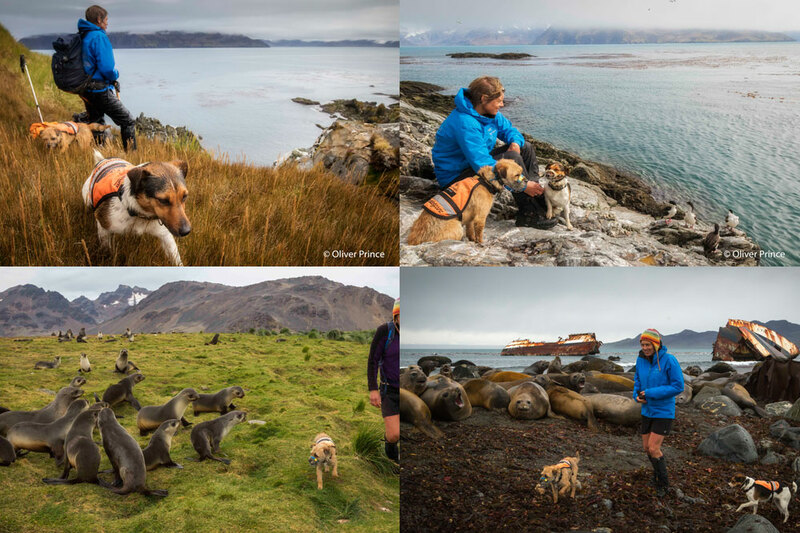 We are delighted to announce that Quark Expeditions has donated $46,385 (over £35,000) towards a rodent detection dog trial that took place in February – April 2018. The total was raised by Quark passengers who took part in on-board auctions in the 2017-18 Antarctic Season. 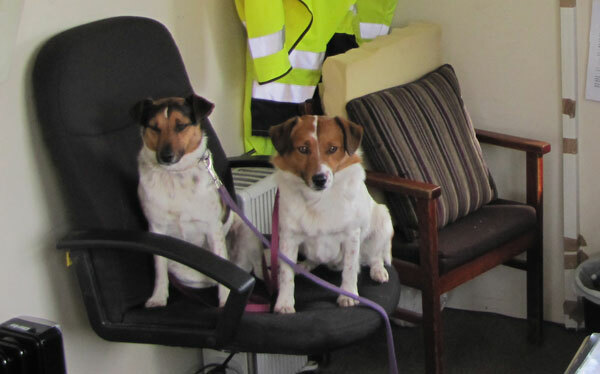 This donation has really helped SGHT and FOSGI to support the GSGSSI rodent detection dog programme, which has led to a second extended trial planned for the 2018-19 season. 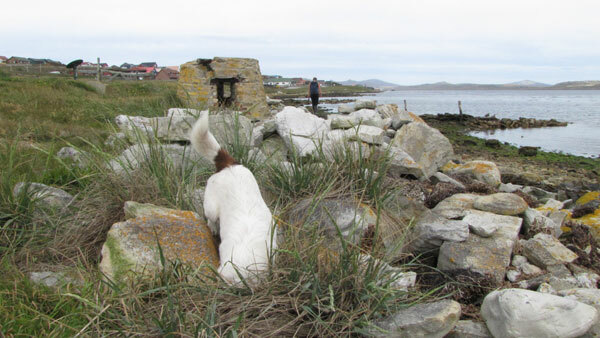 From February to April 2018, the Government of South Georgia (GSGSSI) trialled the use of rodent detection dogs and their handlers, from the US organization Working Dogs for Conservation (WD4C ), to check ships bound for South Georgia – a vital biosecurity measure to protect the island from future rodent invasion. Only a handful of vessels are allowed alongside the wharf at King Edward Point, South Georgia, so that they can unload supplies and equipment or provide essential governmental services. 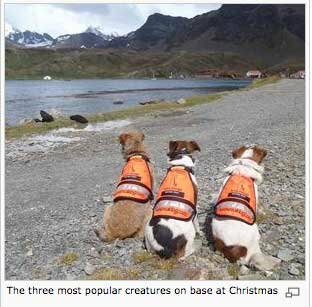 Having these specially trained dogs checking ships en route to South Georgia is a major step towards keeping the future safe for South Georgia’s wildlife, by preventing the return of invasive rats and mice. Putting protective measures in place to ensure that rodents never return to South Georgia is key to ensuring the legacy of our Habitat Restoration Project. We are thrilled that Quark passengers have made this incredible contribution to South Georgia’s biosecurity – thank you so much! When you see an object in the Museum at South Georgia it would be easy to overlook the journey it may have made to get there. For example this scale model of Shackleton’s ship Endurance. Polar Latitudes is helping to raise funds for environment and heritage projects on South Georgia this season! We are delighted to announce that we will be working with the staff and passengers of Polar Latitudes again this season, to raise funds for projects to benefit South Georgia. Passengers of the Hebridean Sky and Island Sky will be visiting the island to experience its remarkable scenery, wildlife and human history. During their visit, they will be able to participate in auctions, to bid for special items available only through auctions in aid of SGHT and FOSGI. Auction funds will go towards our conservation work, which in the coming season will include working with GSGSSI (insert link to GSGSSI website) to ensure that rodents and other invasive species have no pathway to the island; supporting work to address at-sea threats to wandering, grey-headed and black-browed albatrosses breeding at South Georgia; , uncovering South Georgia’s lost archaeology and much more. Polar Latitudes has been a key supporter of the conservation on South Georgia in recent years and we are extremely grateful for the opportunity to partner with them again. Thank you! Note: The South Georgia wandering albatross (pictured above), is one of the island’s albatross species threatened by marine fishing practices elsewhere in the world, and one of the projects supported by Polar Latitudes’ passengers. 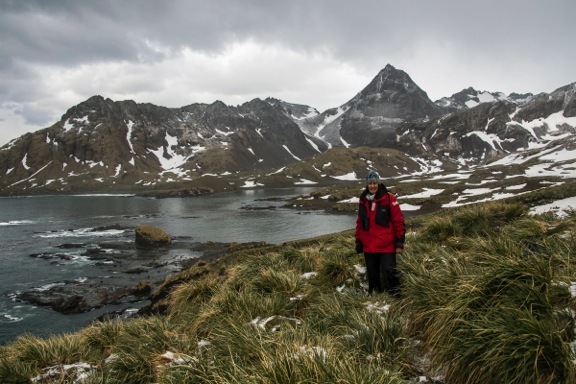 The 25-year-old National Geographic wildlife filmmaker journeys to South Georgia Island. The success of the Habitat Restoration project was recently featured in this news site for young readers – how wonderful! For all the press coverage see our media links page. The survey team were featured in the Dundee local Courier newspaper. Our hearty congratulations to our New Zealand Colleagues for an incredible job! We celebrate your success and appreciate the sharing of skills and expertise with our South Georgia eradication’s. 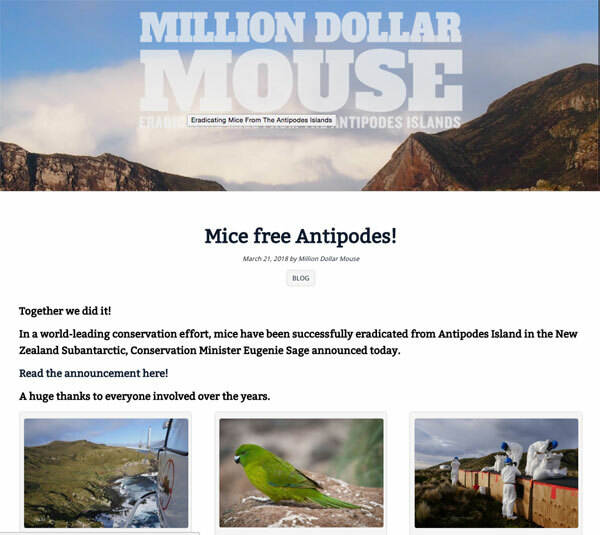 Well done million dollar mouse team! New photos from the field. Below are new photos of the specially trained rodent detection dogs that have been working on South Georgia since the end of December. They are helping to search for any remaining rodents following the Habitat Restoration project. In 2011, 2013 and 2015 over 1000 square kilometers were baited thanks to the support of FOSGI and SGHT (South Georgia Heritage Trust) donors. Read more about the project here. Will & Wai are now working on South Georgia. The South Georgia Museum reports “we got dogs for Christmas!” in their News page. The specially trained sniffer dogs Will & Wai and their handlers are now on South Georgia and working on the survey that will determine the success of the rodent eradication project. (Clicking on the image above takes you to the museum latest news page). 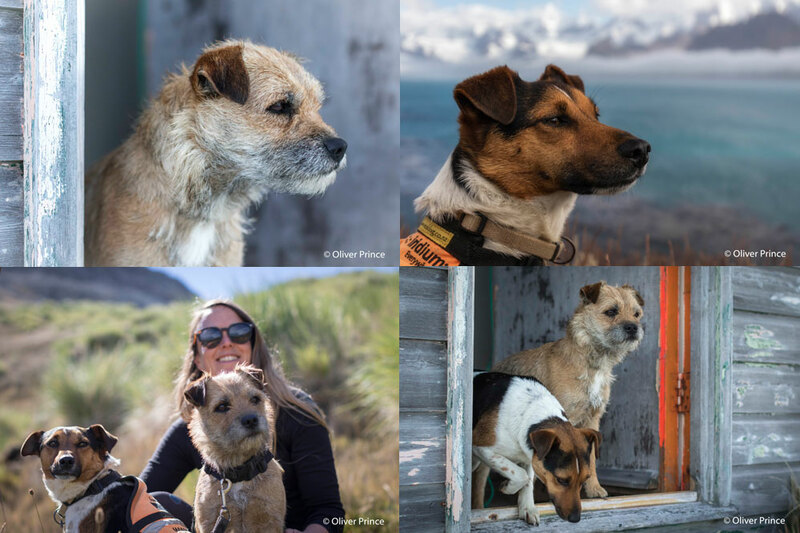 Below are photos of the dogs in Stanley when they were on their way to South Georgia. Wai with Stanley in the background. Wai gets a closer look at a mouse hole. Globally important bird sanctuary of South Georgia monitored to determine the success of a rodent eradication project. The sound of the Pipits. It was a phenomenal trip, as South Georgia always is. 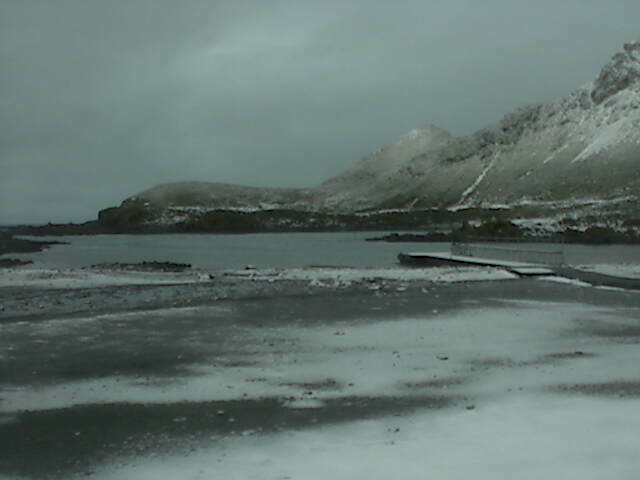 We landed for around 5-7 hrs each day at each site in Gold Harbour, St. Andrews, Salisbury, Prion, and 3 hours in the rain at King Haakon Zodiac cruised Hercules Bay and overall had a GREAT trip. At every landing and Hercules the sound of the pipits was louder than the elephant seals. It truly is the first trip I’ve done in South Georgia where we had many many many pipits singing their hearts out, notable increases in Pintails, Antarctic Terns, Sheathbills (J). At least 12 Light Mantled Albatross at Hercules and Gold Harbour. Eight Wandering Albatrosses on nests at Prion as well as numerous nesting Giant Petrels I could go on with the rest of the sights and counts. Elephant seals at this time of year are on the beach and the sheer number of males, females and thousands of pups at each site was fantastic. The sound of the Ellies however were drowned out by pipits. At one point on Gold Harbour (baited in 2015) I started laughing and had tears in my eyes both at the same time, because I’ve never seen so many Ellies and Pipits in one place, but I think the sound of the pipits out did the 2 Ton Ellie Males. In addition, our passengers were constantly talking about pipits and pintails and coming to me about where and how many they have heard. Pipit was a word used commonly every day all day and night-yes that is a big change for us! Our passengers on board industriously scrubbed their boots, clothing, signed biosecurity documents and more. Great to see Sarah and Team at work all doing a great job for us. We’ve collectively made a huge difference to the ecology of SG. So, whatever happens going forward, we have the collective ability to accomplish what we set out to do. Report on the Island Invasives 2017 Conference by Denise Landau. November 10th 2017, at the Aurora, Cambridge, England, UK. 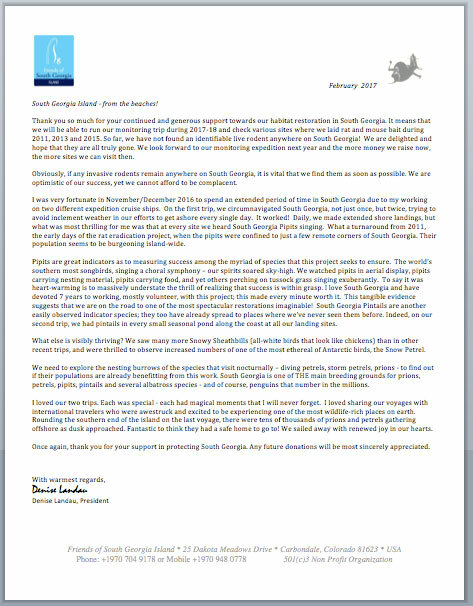 The South Georgia Association is organising an event on November 10th 2017 on New and future science from South Georgia and the surrounding seas. Presentations, by scientists who are actively involved in research, will be pitched for the membership of the South Georgia Association and others who have a wide range of knowledge and expertise relevant to the Island but not all of whom are scientists. This is a full day event followed by a drinks reception and supper in the Icebreaker at BAS. 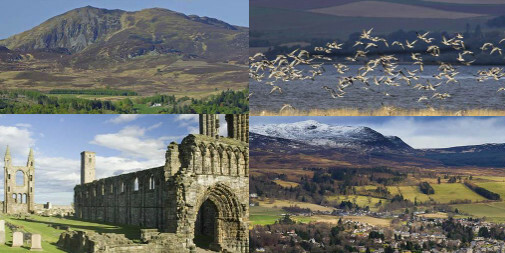 The programme will be accompanied by an exhibition of artwork and photographic images related to South Georgia. 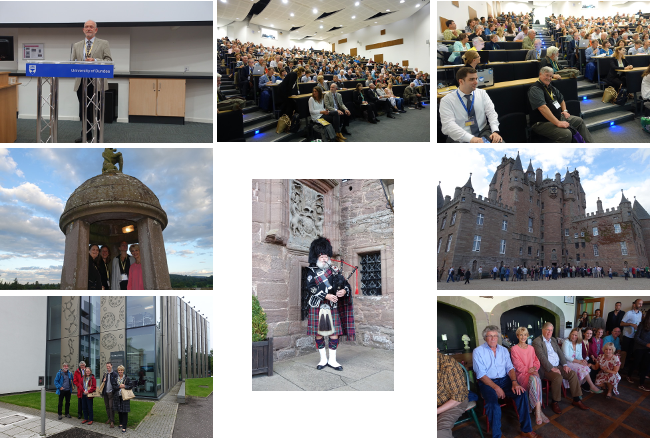 Island Invasives 2017 was held in Dundee, Scotland, UK this month and was a fantastic success. Congratulations to all on an excellent conference. It was a very important part of sharing our skills and experiences and passing lessons learned on to future projects. The energy created will we think be important for the future of world conservation. You can help keep the conversation going on social media by using the hashtag #IslandInvasives. See some of our photos below. More photos of the conference can be found here . Keep the conversation going on social media by using the hashtag #IslandInvasives. 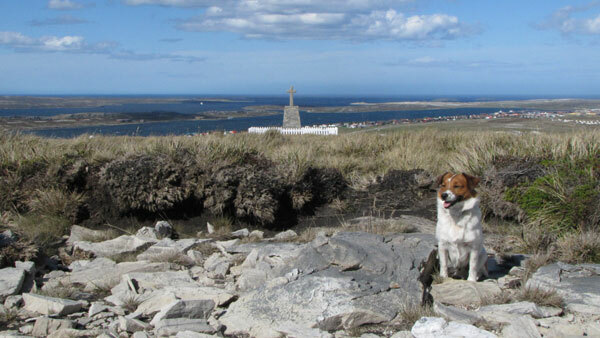 This will be the third in a series of international conferences focussed on invasive alien species (IAS) on islands, their impact and management. It follows those held in Auckland (2001) and New Zealand (2010). This conference is being held in Dundee, Scotland. 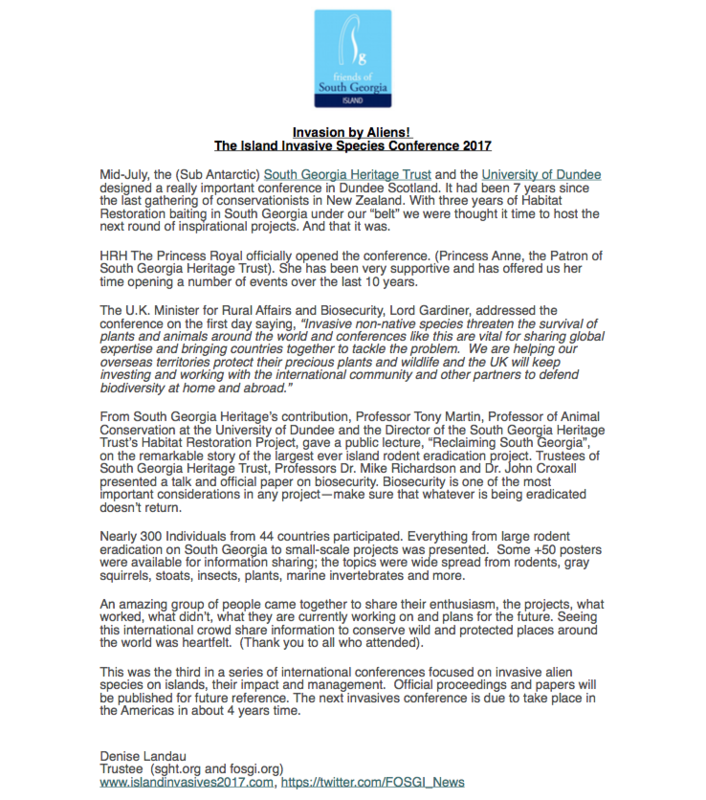 The decision was made to hold this conference primarily because of the help that we received from the Island Invasives community whist undertaking the South Georgia rodent eradication (or Habitat Restoration Project). 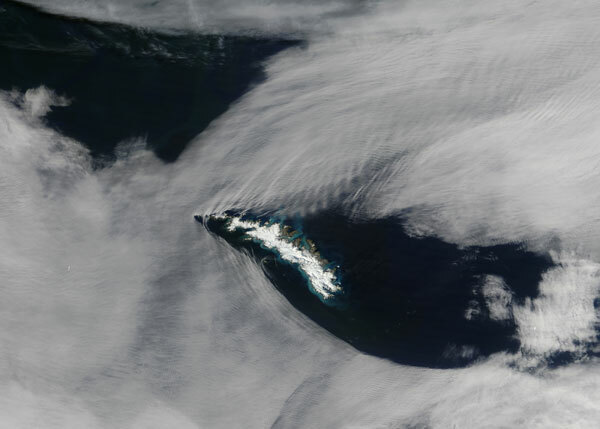 “A Cut in the Clouds” The island formed ripples in the clouds. ‘Reclaiming South Georgia’ placed in the top 10 bird books of 2016!! This book is written by our Habitat Restoration (HR) Project Director Prof Tony Martin, it describes our HR work in South Georgia. The British Birds and the British Trust for Ornithology have rated ‘Reclaiming South Georgia’ 6th in their review of the best bird books of 2016. Details of how to purchase the book can be found by clicking on this link. November 2016 Habitat Restoration Newsletter is now out!! 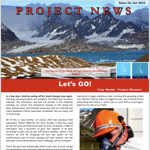 Click here to get a copy of the November newsletter. This Rat Watch leaflet explains how YOU can take part and help us with Phase 4 (2016-2018) if the habitat Restoration project, it is essentially detective work. We are looking for any signs of rat or mouse in South Georgia. The main part of Phase 4 involves us sending teams of people, with trained dogs, to all baited areas to look for signs of rats and mice. Professor Tony Martin, who is leading the South Georgia Habitat Restoration Project has been named the Zoological Society of London “Conservationist of the Year”. He will be presented with this prestigious award later in the year. The Habitat Restoration Project is being carried out in four Phases and will take at least 10 years from planning to completion. Professor Martin led an international team of experts, affectionately known as “Team Rat”, for the first three phases in 2011, 2013 and 2015. Poisoned bait was spread using helicopters over rat-infested areas of South Georgia, which were divided by glaciers. 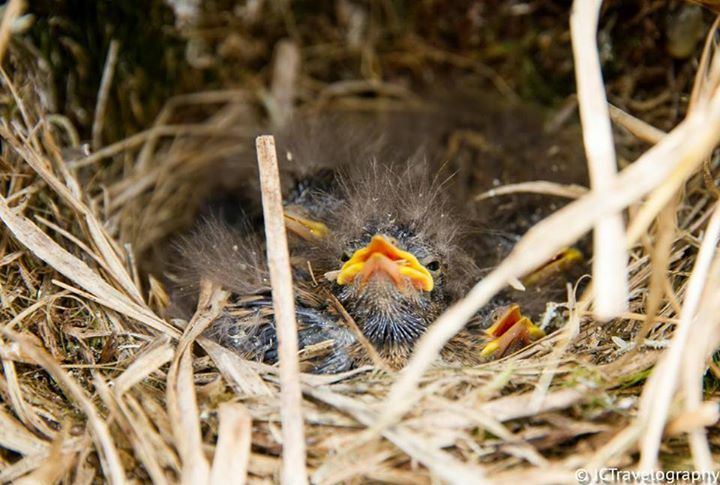 Monitoring to date has indicated that the first and second phases of the baiting have been successful, with no rat presence detected and significant recovery of ground-nesting bird populations. The South Georgia Heritage Trust is currently planning the Phase 4 monitoring expedition which will take place at the end of 2017. 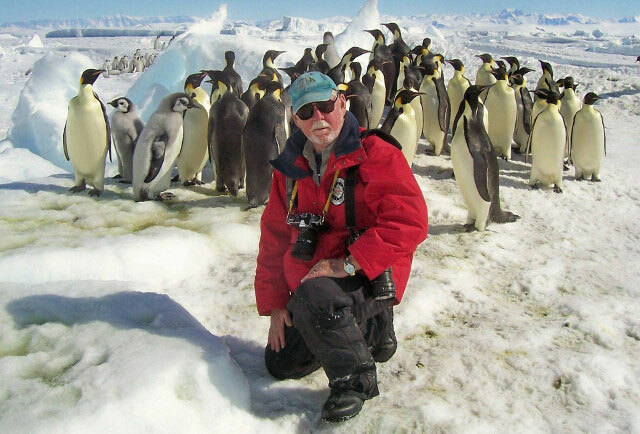 For the last 14 years, Howard Pearce tirelessly dedicated his time and energy towards the betterment of South Georgia. FOSGI is grateful to have worked along side Howard for the last 5 years and wish him and his lovely family well in his retirement (at least from this project). 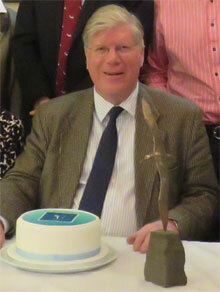 The picture on the left is of Chairman Howard Pearce during SGHT’s Annual General Meeting in Cambridge, England on February 18, 2016. He has been SGHT’s volunteer Chairman for 10 years. 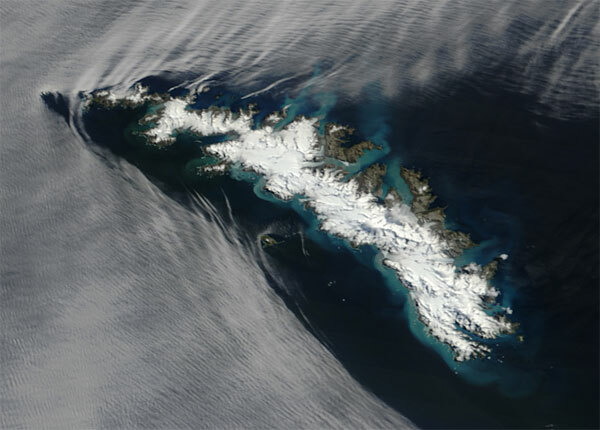 Howard first came to the South Atlantic as the Governor of the Falkland Islands and the Commissioner for South Georgia and South Sandwich Islands, from 2002 to July 2006. He then stepped in as SGHT chairman in September 2006, after the untimely death of the founding SGHT chairman David Nicholls. Howard carried forward the work on the dream of a South Georgia free of rodents and a haven for indigenous birds and plants and preserving and increasing awareness of the human history of the island. The new SGHT Chairman is Ms. Philippa Foster-Back CBE (right). We warmly welcome her and look forward to working together to accomplish great projects that protect and conserve the natural and cultural heritage of South Georgia. Above are two photos from the South Georgia visit by SGHT Trustees and friends in 2009, and a close up of the farewell cake. The nest shown here was discovered on 14th December 2015 in Burnet Cove in Maiviken by Jamie Coleman, BAS Terrestrial biologist at KEP. 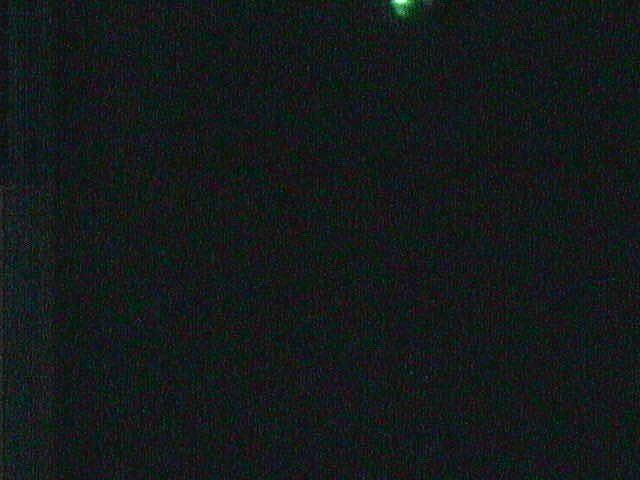 Jamie says that there are at least four pairs of pipits at Maiviken now! Thank you to Jamie for the photo. The conference was announced mid November 2015. “This will be the third in a series of international conferences focussed on invasive alien species (IAS) on islands, their impact and management. It follows those held in Auckland, New Zealand, in 2001 and 2010. The Dundee conference will therefore be the first such meeting for seven years. 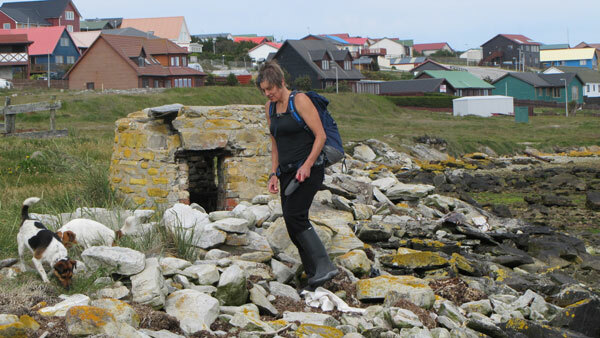 This conference, hosted by the University of Dundee and the South Georgia Heritage Trust, will be a long-overdue gathering of the island invasives clan. Professor Tony Martin, Habitat Restoration Project Director. and any dreaded rodent signs…. Gearing up for Phase 4 – we want to declare South Georgia rodent free. Professor Tony Martin, Habitat Restoration, Project Director, describes the monitoring phase..
“The rule of thumb internationally is to investigate two years after you finish baiting and if you don’t find any rodent sign you say that’s it – job done. We’re going to leave it a little bit more than that and in fact in the case of phase 2 it’ll be four and a half years, because it is such a vast area. Announced: Join us for a House of Lords event! We look forward to an exciting time in London, October, 2015. A minimum donation may be required to attend. Email info@fosgi.org for more information. Trustees from South Georgia Heritage Trust met in London to review the last 6 months, celebrate phase 3 Habitat Restoration baiting, overall strategy and plan for future operations in Dundee and in South Georgia. We had a lively fundraising meeting to discuss our needs going forward. If anyone has any great ideas or would like to assist in raising necessary funds to complete this project, please let us know at info@fosgi.org. Team Rat returned from South Georgia after a successful 2015 baiting season. 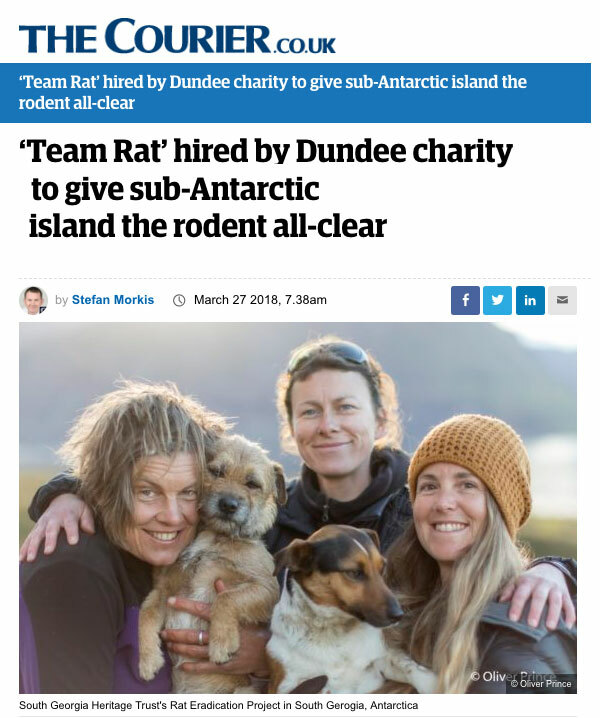 We are grateful to Captain and crew of the vessel the Sir Ernest Shackleton and the British Antarctic Survey for having the time and space to bring back Team Rat, our equipment and helicopters from South Georgia to the Falkland Islands. Thanks Team Rat and everyone for a successful season once again. Phase 3 successful baiting season. 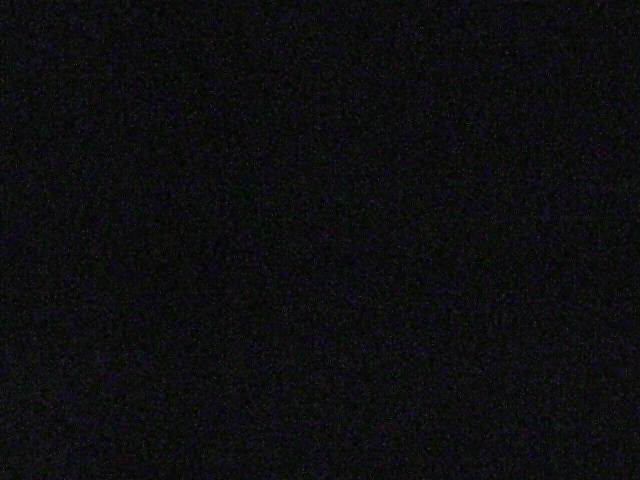 Mon, Mar 23rd 2015. King Edward Point, South Georgia. At 12:37 today I watched helicopter Alpha Mike flown by Chief Pilot Peter Garden pick up the 259th load of Phase 3 rodent bait and then disappear over the hill. Thirteen minutes later Peter returned with an empty bucket, as he has done many, many times before. But this load was different, because it was the last load of the Charlotte baiting zone, and the last load of Phase 3. Not only that, but this was also the last load of bait for the entire South Georgia Habitat Restoration project. 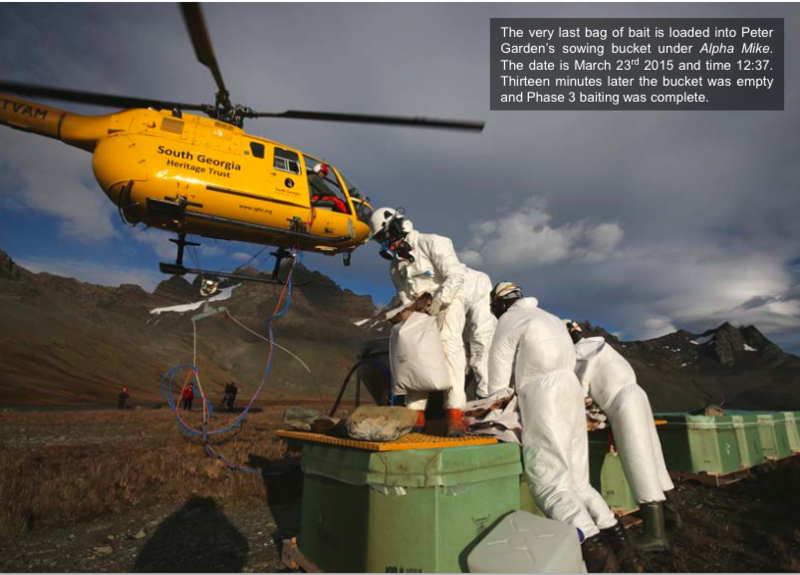 After many years of preparation, three seasons of fieldwork, more than 800 bait loads, a thousand helicopter flying hours and over a thousand square kilometres treated, the final pellet had been dropped. …the Habitat Restoration Project must and will continue until we know that the baiting has achieved its aim. As I’ve warned in earlier issues of Project News, we cannot afford to take anything for granted. We have to be vigilant for any sign that rodents have survived the initial baiting operation, and be ready to snuff out any such pockets of survivors. It ain’t over until the fat lady sings, and the completion of baiting may allow her a few celebratory warm-up warblings, but the full power of her voice will not be heard until we can be confident that all rodents on South Georgia have been vanquished. To that end a large scale yacht-based survey (with all its concomitant costs) will be carried out in a couple of years’ time; only after that can we truly relax and know that the job has indeed been done. 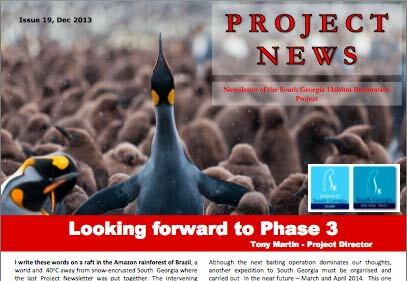 See the full story, so far, of the Habitat Restoration in out Project News Archive page. As the 2015 baiting is currently underway, here’s a fun video showing some of the 2013 baiting work. Tony Martin gave a talk to members of the explorers club. Team Rat has completed the second year of Habitat Restoration fieldwork in 2013. During this season the international team of eradication experts tackled all rodent-infested areas to the west of the Greene, Thatcher and Mercer areas cleared in 2011. All indications are that those areas have now been rat-free for two years, and the birds are already benefitting. Pintail Ducklings are fledging successfully at Grytviken for the first time in living memory! Over 50,000 hectares of infested land were baited in 2013 despite some of the worst weather in a decade, a tremendous achievement. 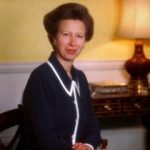 On June 26th 2012 at a St. James’s Palace luncheon hosted by HRH The Princess Royal, the announcement was made that the Island Foundation would donate a further US$750,000 to the Habitat Restoration project through FOSGI. 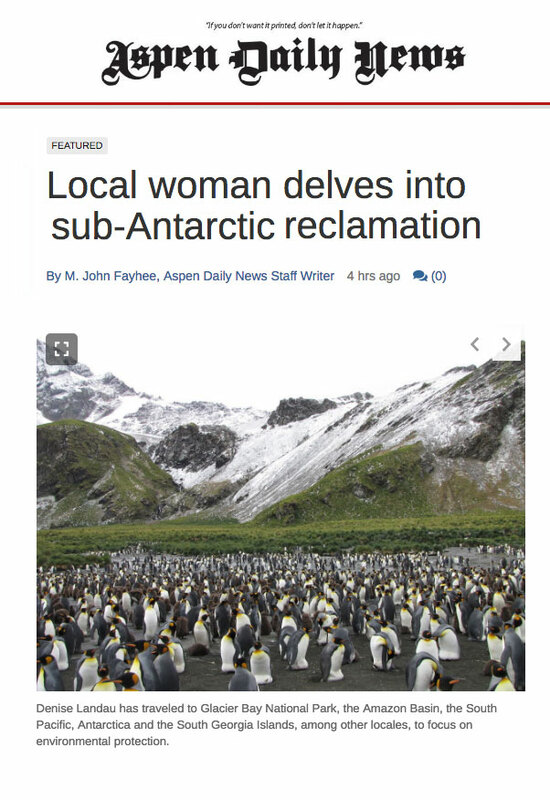 The funds were used to pay for bait in Phase 2 of the work. 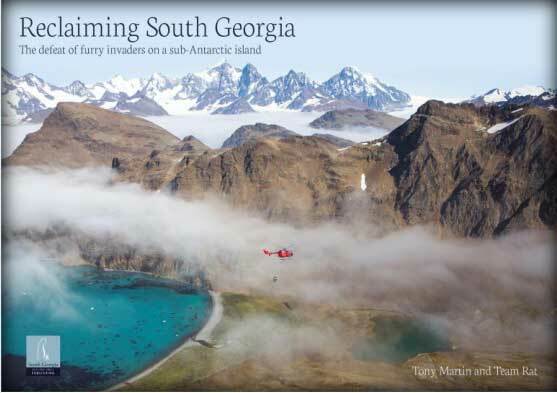 The Friends of South Georgia Island organization (FOSGI) was awarded 501(c) 3 status in December 2011. US donors can make a tax-deductible donation to benefit South Georgia through this website or download a donation form FOSGI donation form 2013.